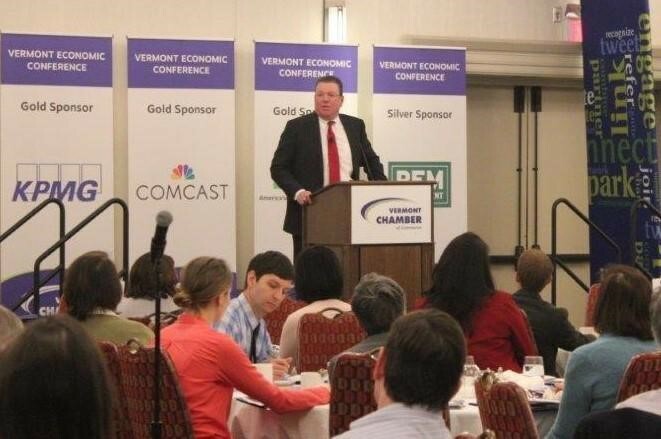 During the Vermont Chamber’s Economic Conference on January 5, over 300 attendees heard from Art Woolf, Phil Daniels, and Matt Thornhill about the past, present and future of Vermont’s economy. Inclement weather prevented Gus Faucher of PNC Bank from attending. 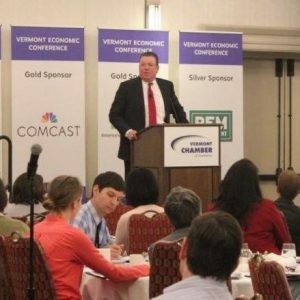 During the event, Bill Shouldice also provided an update on the Vermont Futures Project, including highlights and trends from our 2018 data update. Phil Daniels (presenting for Michael Dolega) – The Global & Financial Outlook.